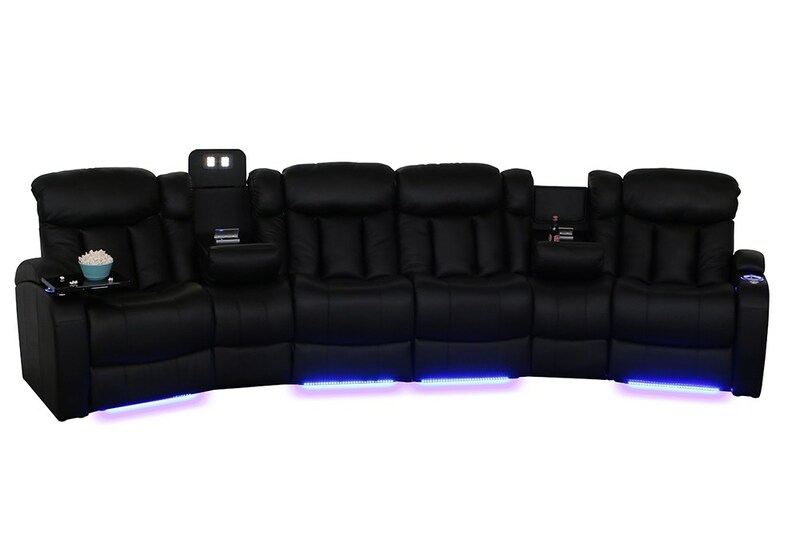 Home theater seating is designed with media viewing in mind. 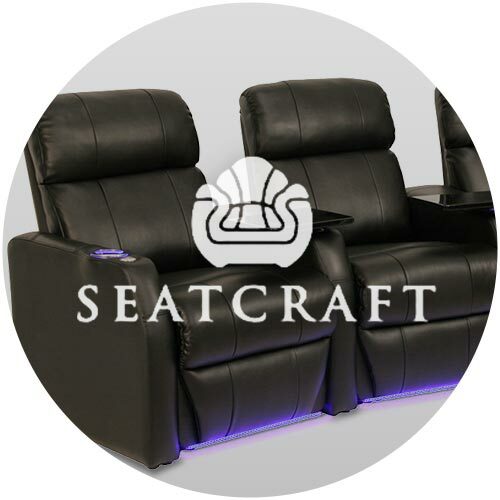 This makes them ideal not only for home cinemas, but for great rooms, media rooms, and even man caves—wherever you want to enjoy you favorite movies, TV, music, and gaming. 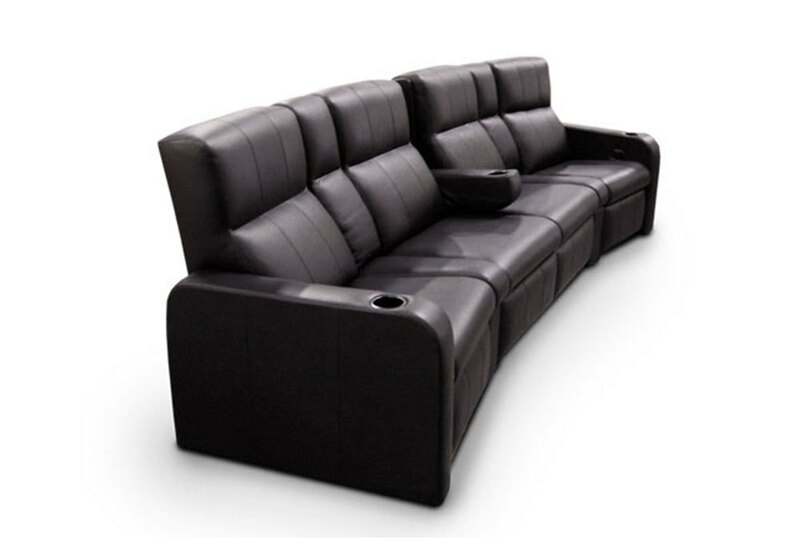 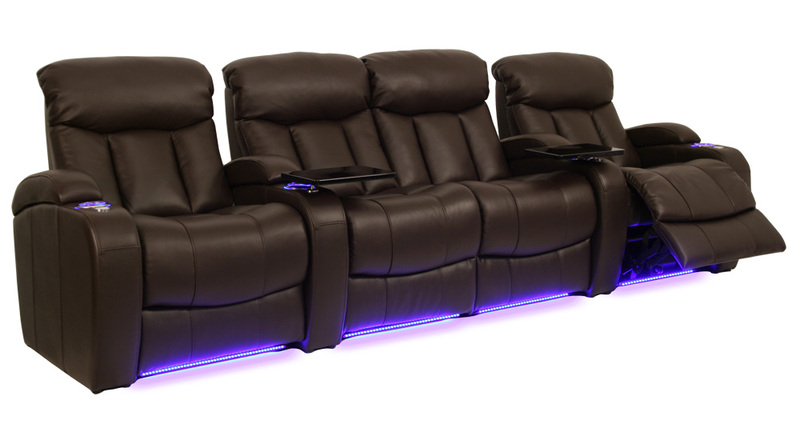 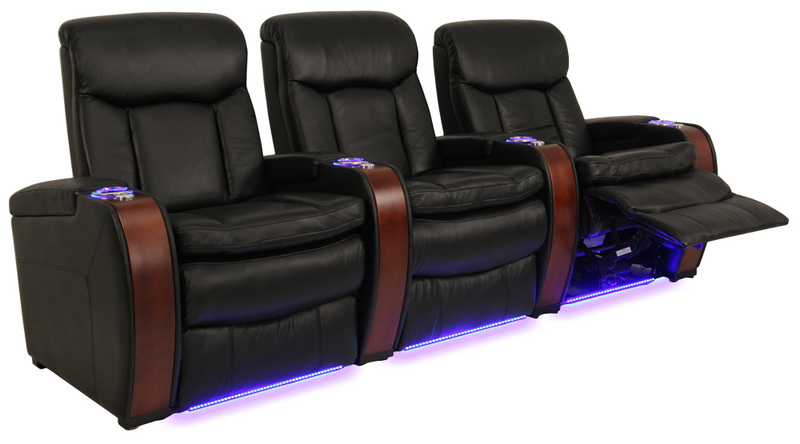 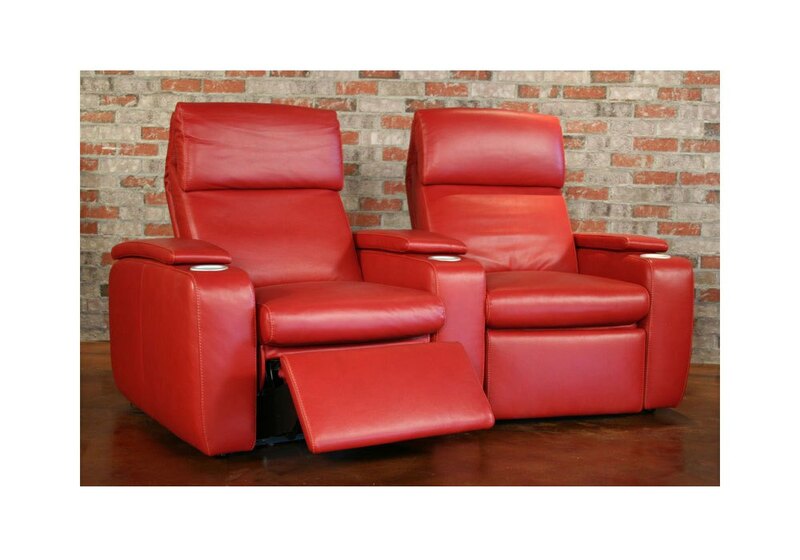 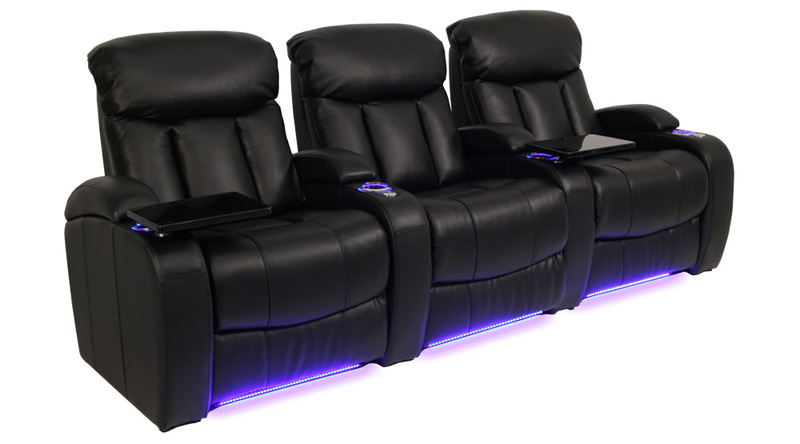 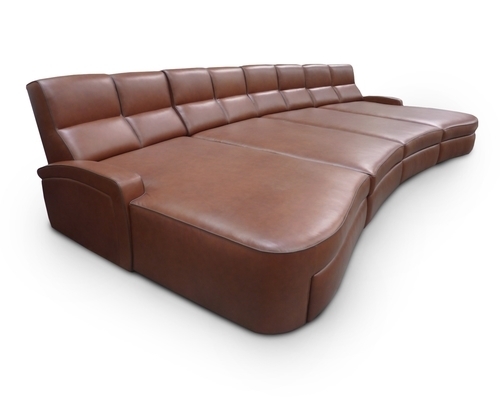 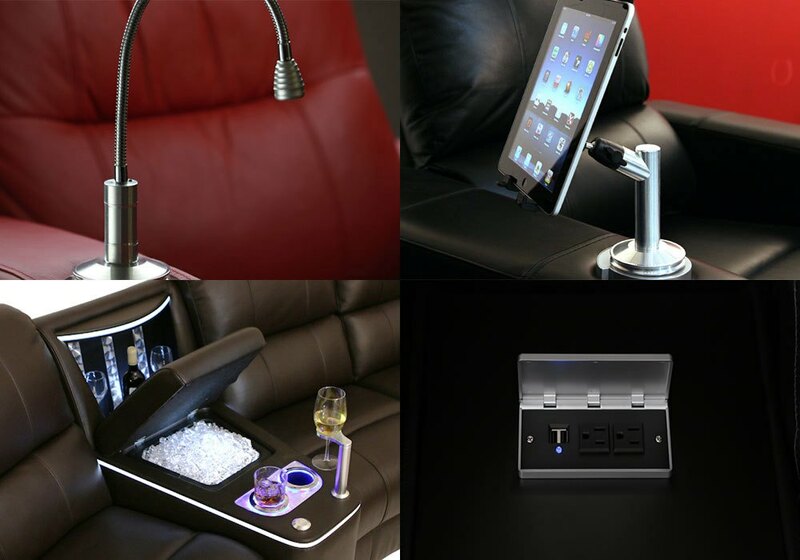 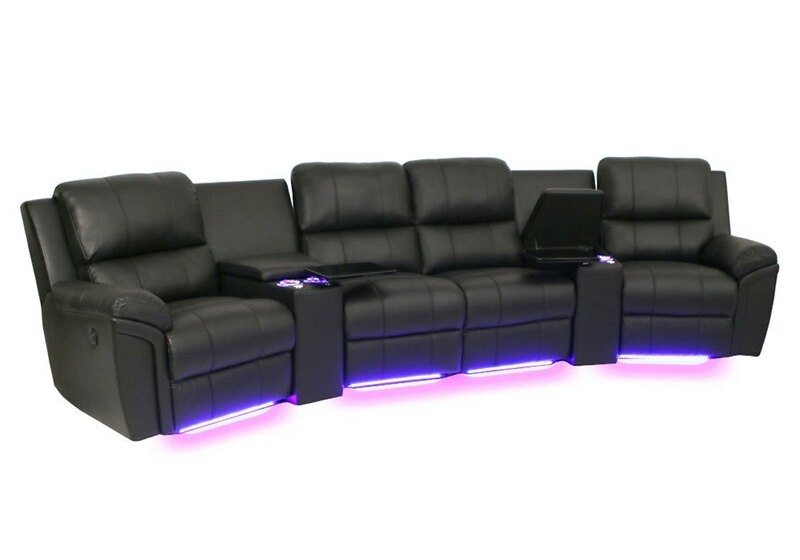 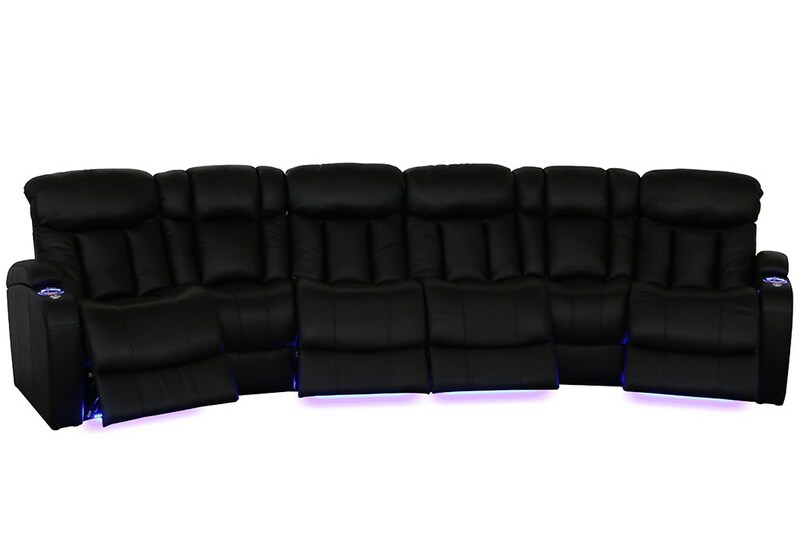 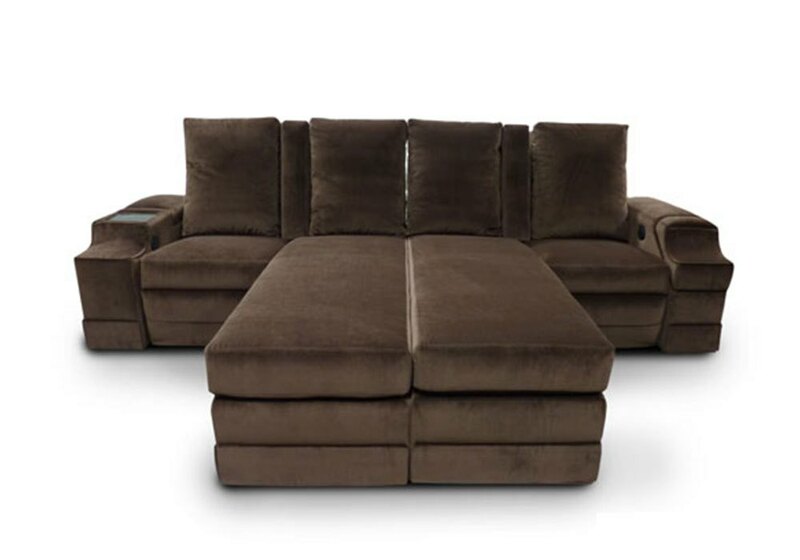 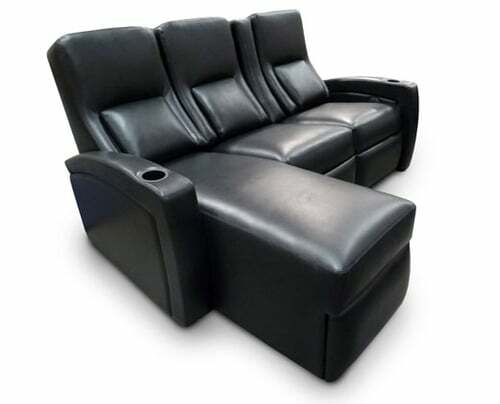 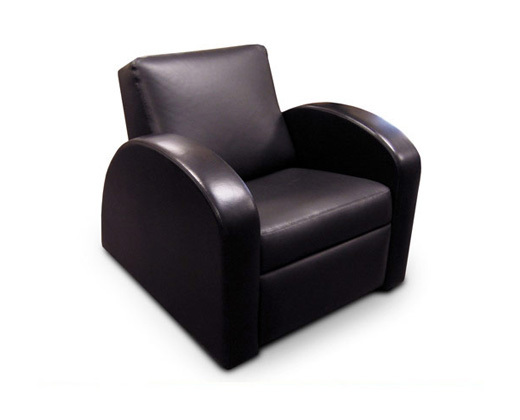 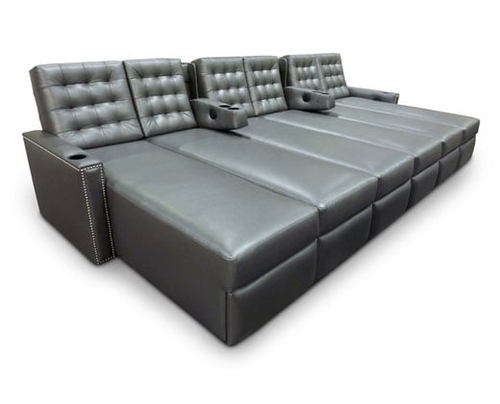 You will love the comfort of electric reclining and inclining, sumptuous leather, LED lighting, cup holders, and even built-in beverage cooling. 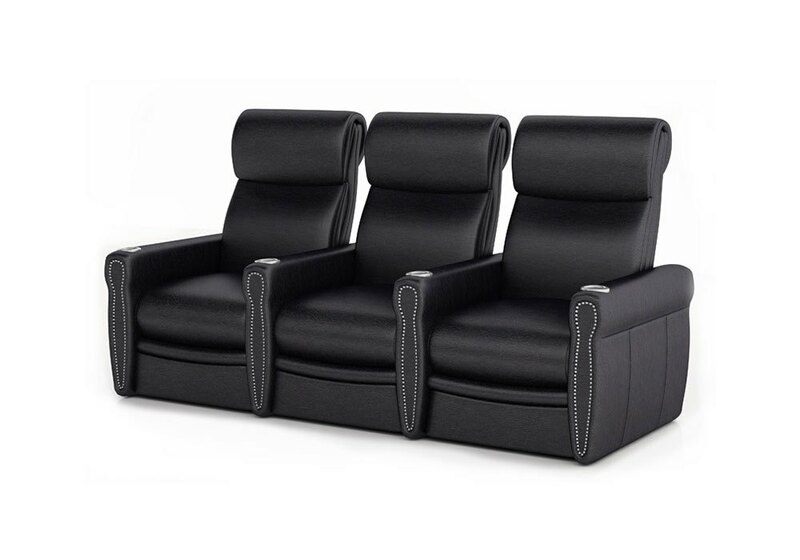 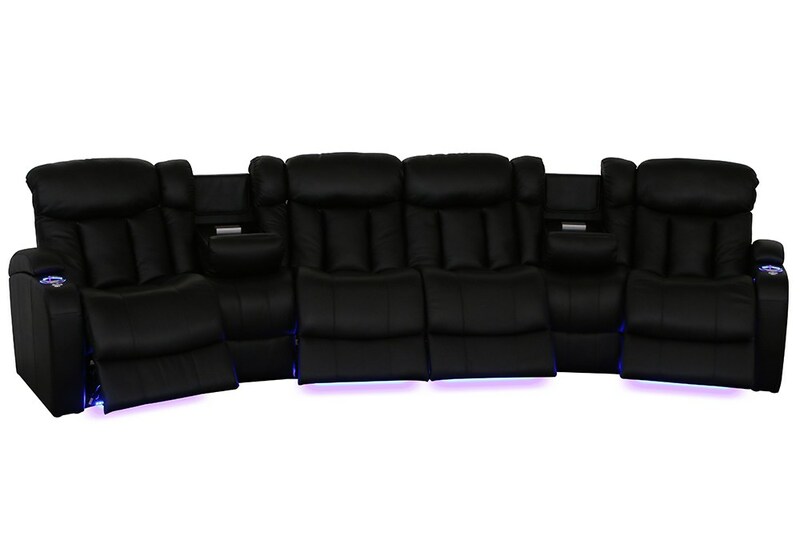 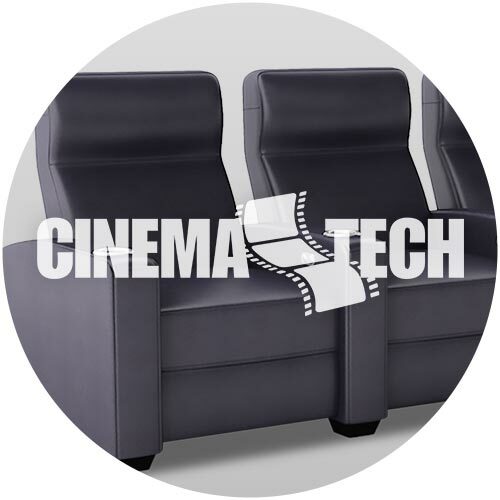 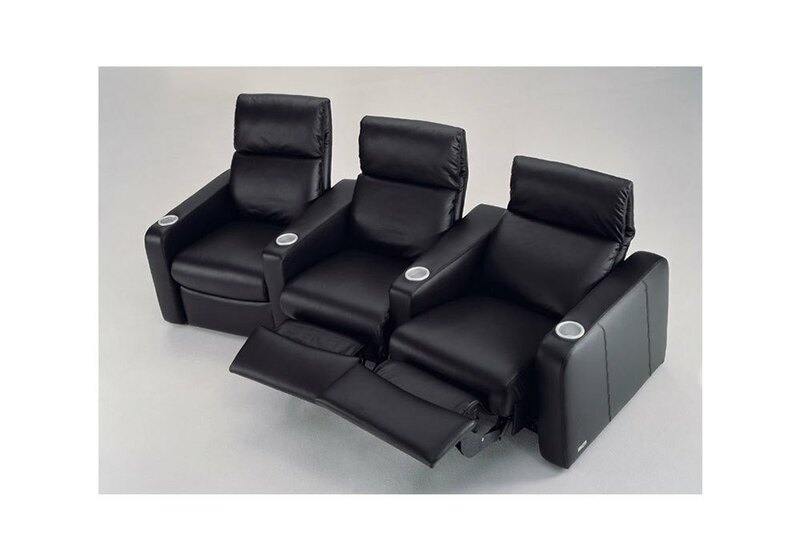 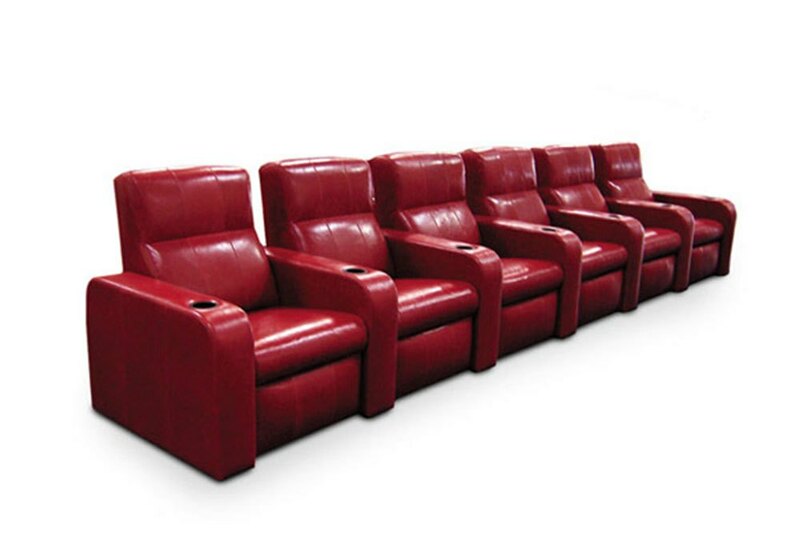 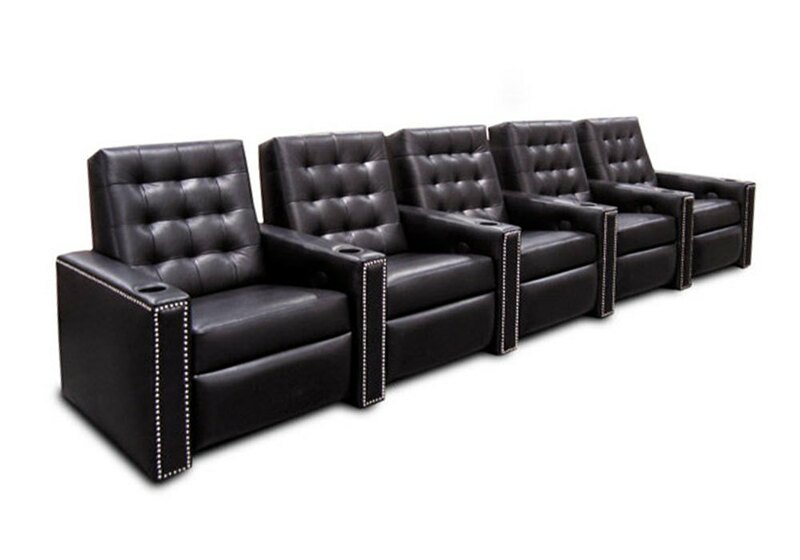 Cornerstone carries the top theater seating brands, like Octane Seating, Seatcraft, Fortress Seating, and Cineak, in single, row, and sectional configurations.  Take a look at the many options below. 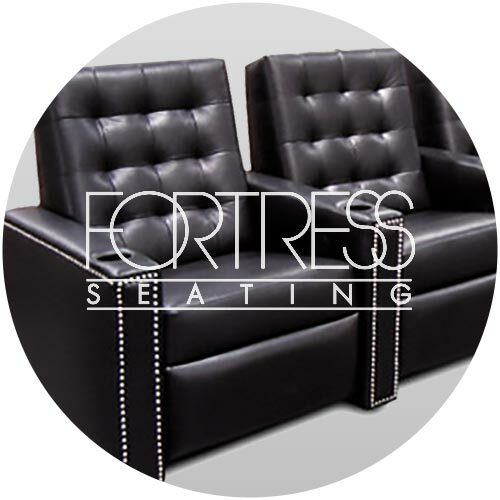 Fortress defines custom as designing a unique piece of furniture to fit the room and the person. 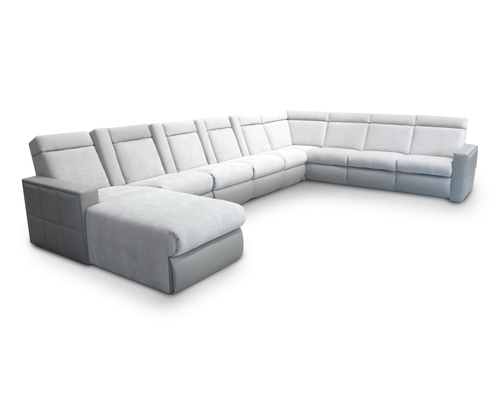 Whether working with specific dimensions, combining different design elements of existing products, or working from a blank canvas, Fortress has the manufacturing expertise to create your concepts.